I come from Bangladeshi. In 2013, TAFE's trainer recommended Global to the class. The trainer suggested that Grace is specialized in helping chef to immigrate and get the permanent resident. However, unlike my classmate my circumstance is a little bit special. I did half of my course in my home country and the rest in TAFE NSW. At the first time came to Global I was holding a skeptical attitude, I doubt the chance Grace can help me get the PR, I thought my visa couldn't be successful. However, after the first consultation, Grace told me she could helped me with my skill assessment. She wrote a very detailed statement to fully explained my situation. Thanks the entire team of Global, my skill assessment evaluation was succeed and then my skill visa was granted. After around ten years, I found my beloved lover. Once again, I came to Global and seek for Grace help. Right now, they got a bigger office and a lot employees. But their attitude was never changed, they are well dedicated and eager to help their clients. 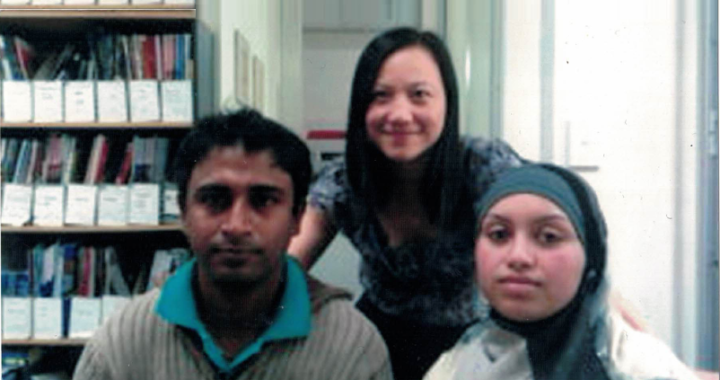 In the consultation, Grace asked in detail about my relationship with my wife, And then the law department helped my wife got the visa, so my wife finally got the permission to have the right to work full time in Australia. Thus, we could save money for our new home. It's all thanks to Global and Grace.